CRM PROJECT – WHERE DO YOU START? You understand the benefits of a CRM implementation but are unsure where to start? With planning, implementation, migration, training and technical scoping all needing to be addressed, it’s all too easy to come face to face with information overload. The more you research, often the more you uncover and more difficult it seems. Where are you supposed to begin!? 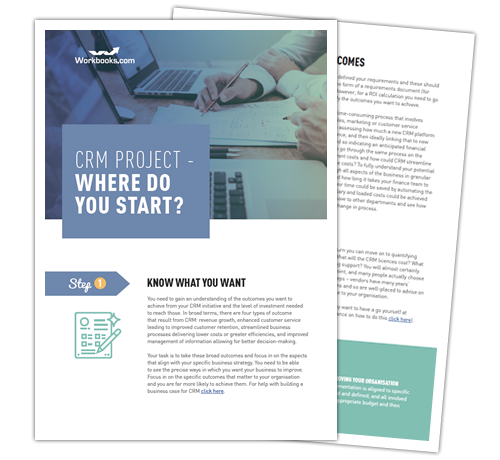 Having spent the last 10 years implementing hundreds of CRM projects, we’ve been able to distill our process into an easy-to-follow plan and put it into a report. Download it now to discover the plan’s initial steps and what you need to consider and in what order.